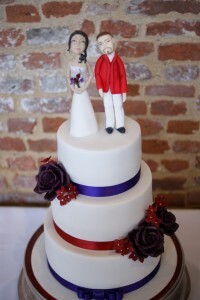 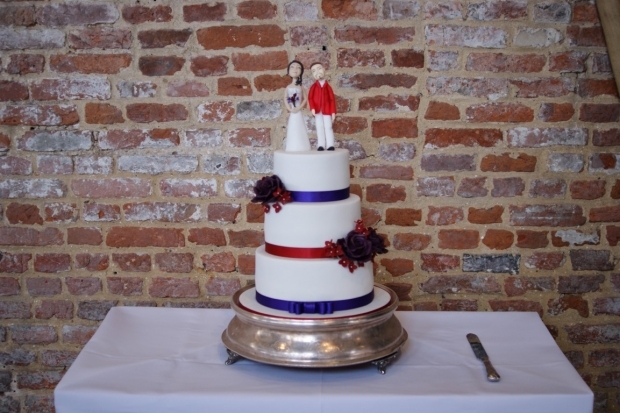 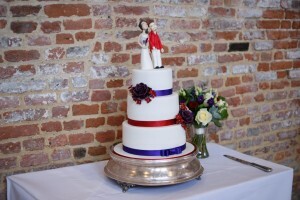 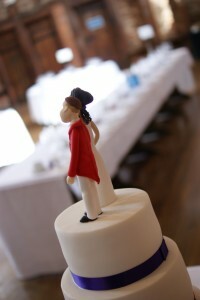 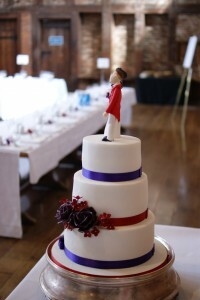 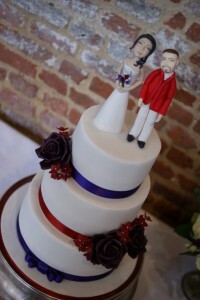 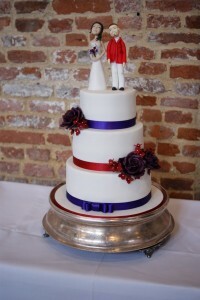 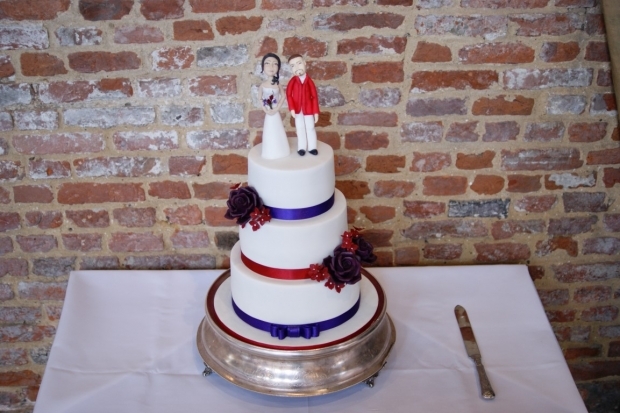 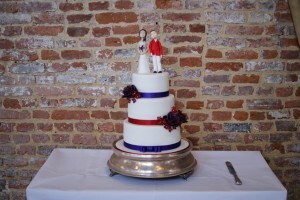 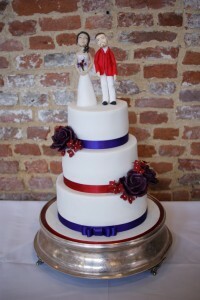 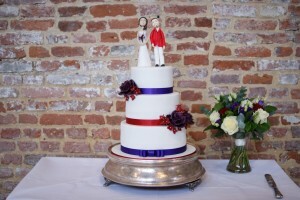 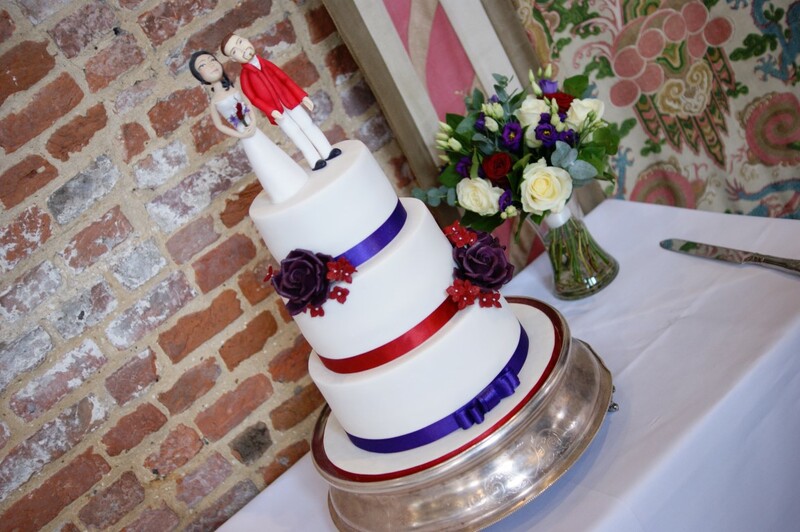 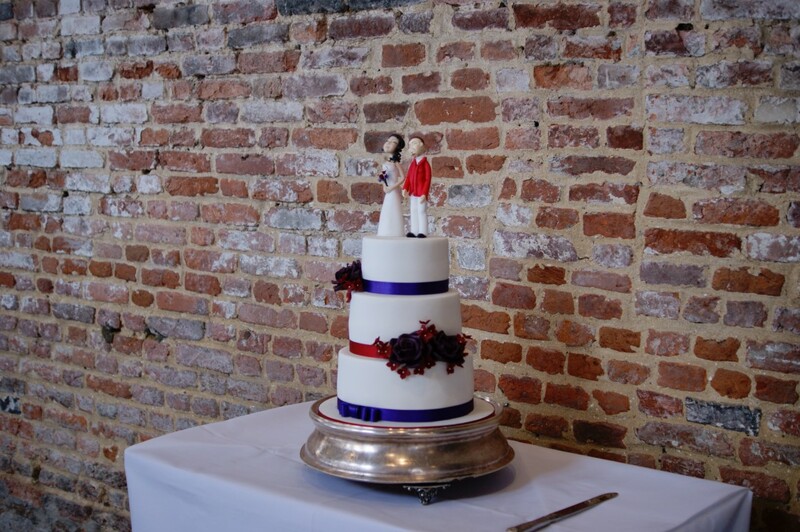 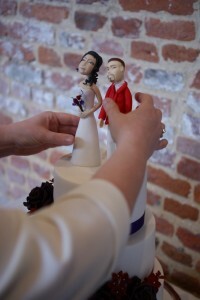 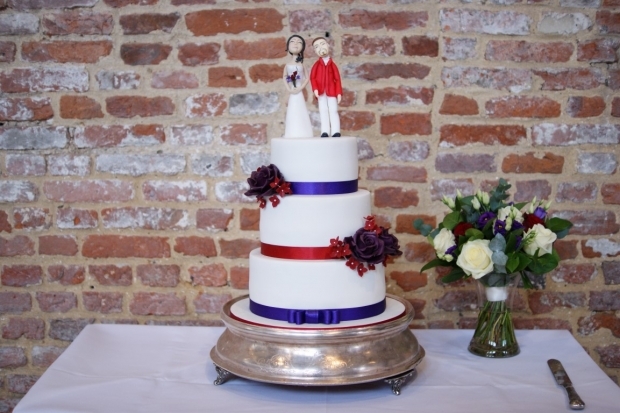 This Wedding cake was delivered and set up at Hatfield House. 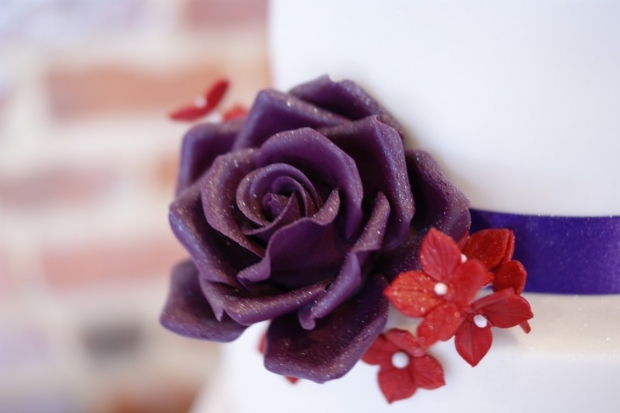 The cake features all vanilla sponge and has handmade roses from icing. 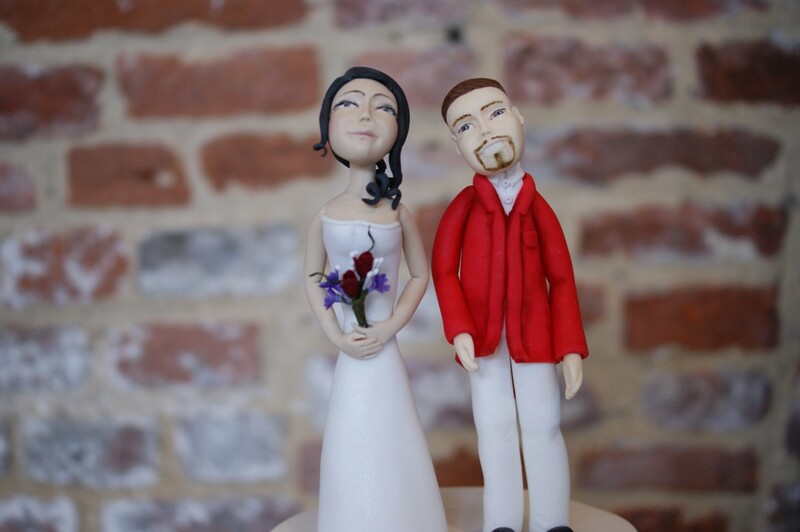 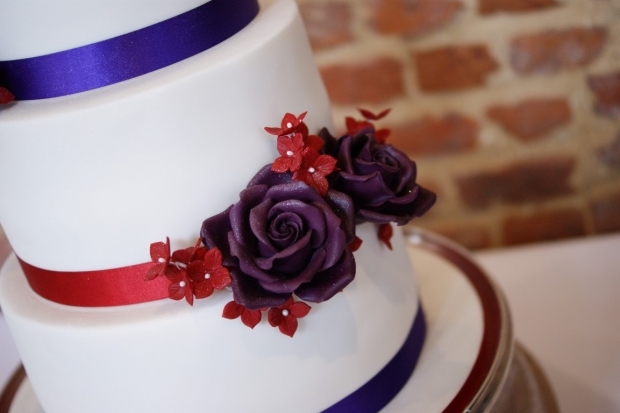 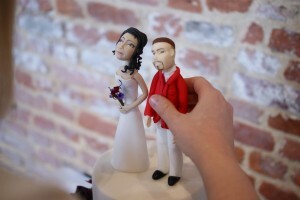 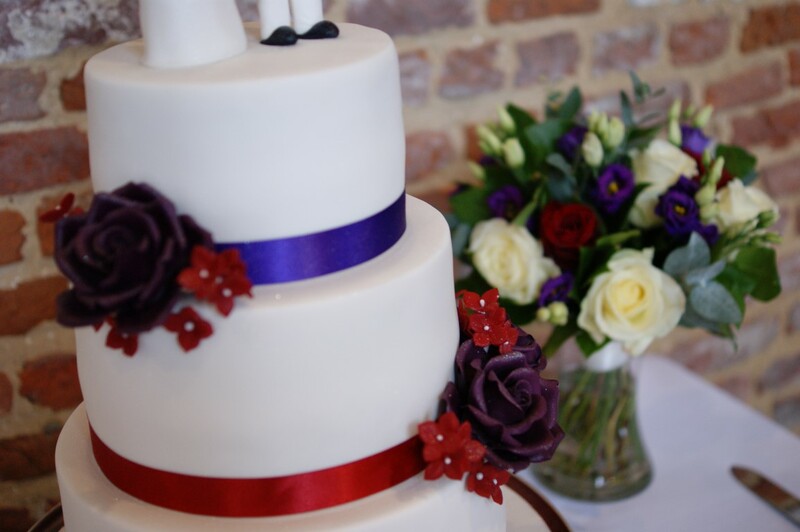 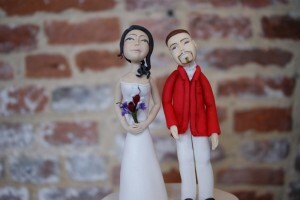 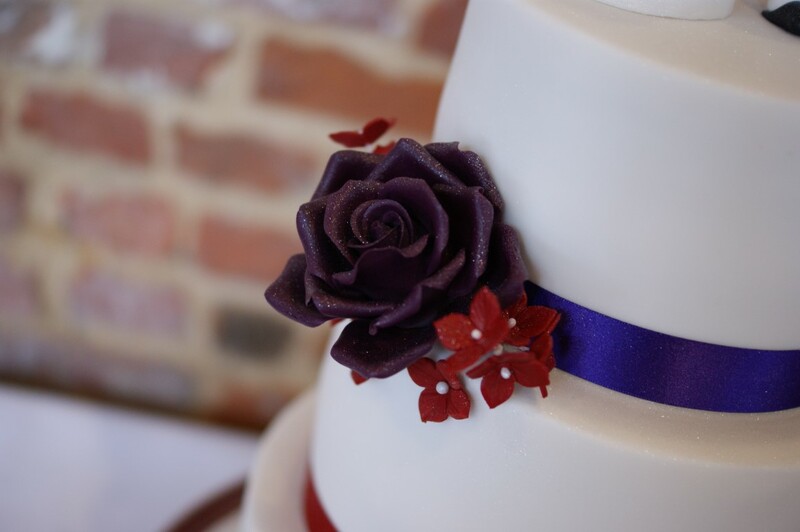 The toppers were supplied externally and are not edible but they look amazing, the whole cake works beautifully with the colour scheme of the wedding.